It looks like you should be able to wind up that key in his back and make him march. 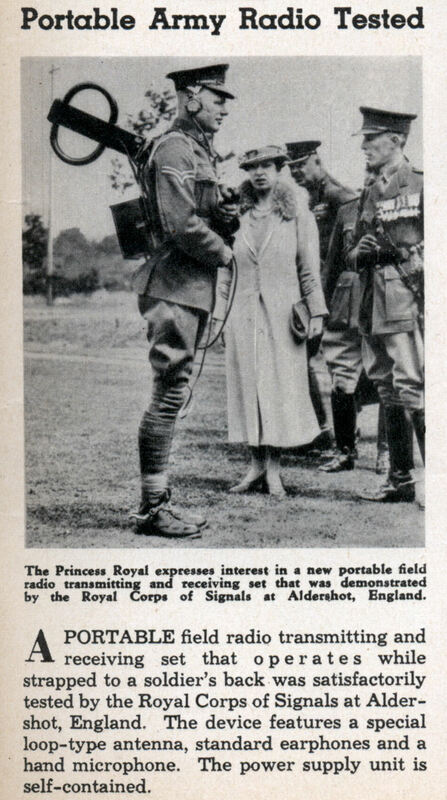 A PORTABLE field radio transmitting and receiving set that operates while strapped to a soldier’s back was satisfactorily tested by the Royal Corps of Signals at Alder-shot, England. The device features a special loop-type antenna, standard earphones and a hand microphone. The power supply unit is self-contained. I don’t really remember, I did scan it though, so I’ll post it tomorrow.